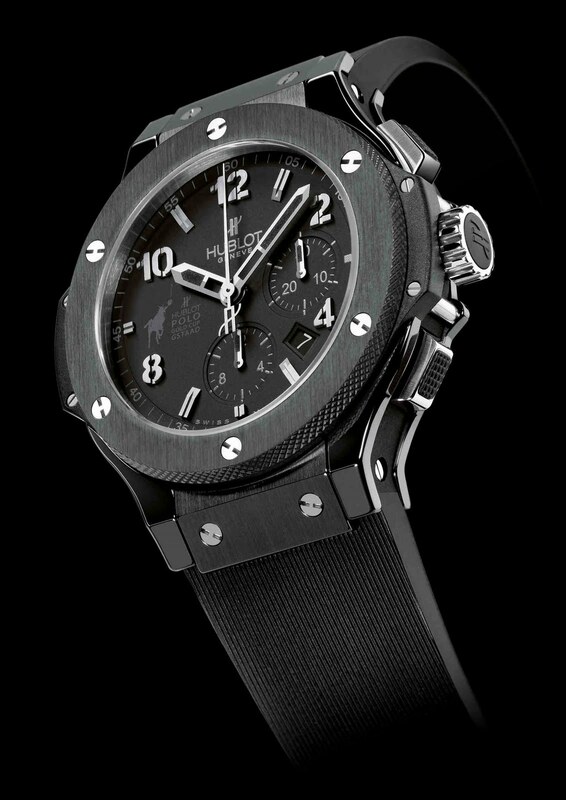 Swiss luxury watch maker Hublot unveiled its BIG BANG “POLO DE PARIS” watch at Hublot Polo Gold Cup Gstaad, Switzerland’s biggest polo tournament. The watchmaking brand Hublot, as well as being the main sponsor of the tournament, also supported a team comprising 3 Argentinian players and one Italian. Their handicaps ranged from 1 to 7. Gualtiero Giori, Francesco Menendez, Eduardo Menendez and Julio Coria did Hublot proud, by qualifying for the final on Saturday afternoon in a very tight match against Team Gstaad Palace. To cheer on the Hublot team, the Hublot CEO Jean- Claude Biver, as well as the Managing Director Ricardo Guadalupe, were in attendance beside the field with their families, guests, customers and friends. Won over by the values conveyed by this sport, they were keen to reassert the affinities between Hublot and polo, such as tradition, precision, perfection, elegance and above all unity, a concept close to the brand’s heart! Providing a spectacle with guaranteed excitement to delight the guests, this event with a typically Swiss colour and flavour was embellished by a party in a high-altitude restaurant where all enjoyed the chance to savour the local specialities and even have a go on the Alpine Horn in the company of the players. Sunday saw Team Bank Baring Brothers Sturdza SA emerging victorious in the final, beating Team Hublot by one point by scoring the Golden Goal after an additional chukker. Every player received a Big Bang automatic chronograph, with the logo of the Hublot Polo Gold Cup Gstaad engraved on the caseback: a highly coveted trophy which made the players happy and doubtless very proud to now wear the same timepiece as the brand’s Argentinian ambassadors, Miguel Novillo Astrada and Facundo Pieres, two of the world’s best players.